Happy Friday, everyone! Hope you all are having a great 2019 so far… can you believe it’s already February?! In the spirit of it being the new year and a new month, I thought it would be the perfect day to launch a new series on Sussex Style Watch! Since we can’t always count on new outfits from our favorite royals on the daily (le sigh), I’m trying to do less of those each week and spread them out so I don’t run out of new content. Sure, I have plenty of old outfits from both Meghan and Kate I can cover on here, but want to make sure I’m keeping things fresh and fun too! In addition to sharing their outfits, beauty faves, and more, I’ve decided to launch a new series that will go live every Friday called The Royal Rundown. You can consider this series a weekend reading list of sorts, where I’ll share my favorite news articles, podcasts and gossip on the royals and do my best to debunk the rumors that I’ve found each week! Each Friday I’ll list the biggest headlines about the royals and give a rundown on the key takeaways, as well as my take on each story. Considering how much British and American tabloids cover the royals I don’t think the content will be lacking… Read on for the first edition of The Royal Rundown and tune in every Friday for a new one! Kensington Palace announced this week that Prince Harry will be out of the country on February 14th, leaving Megs solo on V-Day! As Captain General of the Royal Marines, Meghan’s hubby will be in Norway’s Bardufoss to celebrate the 50th anniversary of the Exercise Clockwork operation. This celebration remembers the first time helicopters operated in the Arctic Circle! This isn’t out of the ordinary for royals to partake in engagements on important days though… remember when Prince William had an official event the morning of Kate’s birthday in January? So yeah, they have to work on birthdays, anniversaries and fun holidays just like the rest of the population… Royals, they’re just like us! This entire news article is pretty much based off of the comments of one author, Duncan Larcombe. Never heard of him? He is a former royal editor for The Sun and also wrote Prince Harry: The Inside Story which published back in June 2017. In an interview with The New York Post this week, Larcombe claims Harry has become more high maintenance and even grumpy since marrying Meghan… attributing it to her independent and ambitious nature. There’s a mention of Meghan bawling at a hairdresser during the royal tour (pregnancy hormones, anyone? 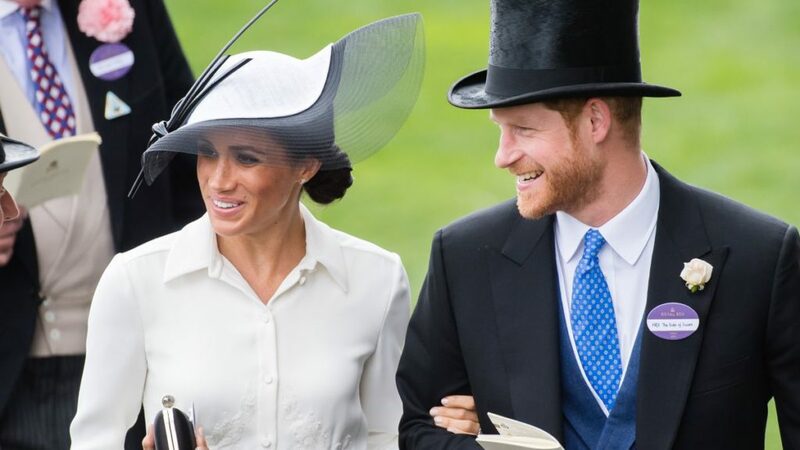 ), and he also alleged the royal couple snubbed the press while on the royal tour, siting that on other royal tours both Prince Harry and Prince William have hosted the press for tea or some other such engagement. So naturally, Meghan is to blame right? Perhaps the reason he’s more grumpy lately is all of the tabloids are constantly targeting his pregnant wife? Get a grip, dude. I get the sense that Prince Harry is simply more guarded than ever as he continues to try and protect Meghan from negative backlash in the press… which in this case is you, Mr. Larcombe! Apparently bullying and offensive commentary targeting both Duchesses on social media has gotten so bad, Kensington Palace is taking action! Palace officials have reached out to Instagram to monitor and remove the offensive comments about the two royal women. According to insiders, Palace aides spend hours each and every week monitoring comments on the official Kensington Palace Instagram account and are constantly removing racist and sexist content, and often these comments include threats. 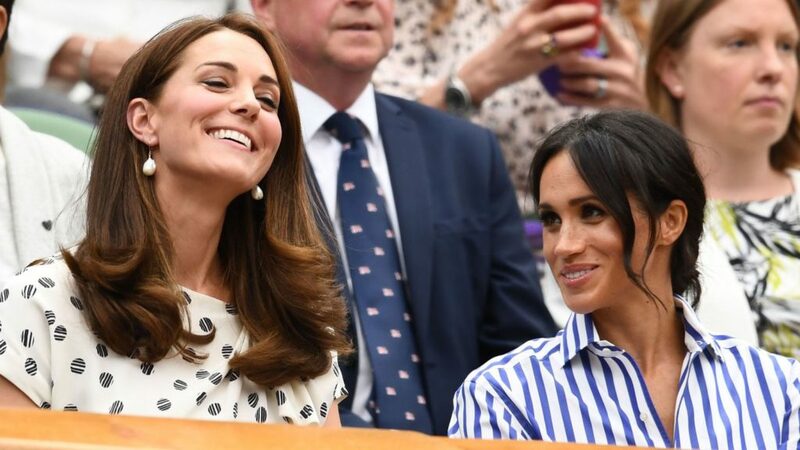 The rumored feud between Kate and Meghan has apparently fueled these comments and made them worse than ever! While criticism will always exist, I guess I’ve just never understood why anyone feels the need to take the time to spew hate in any way shape or form. I have never (NOT ONCE!) written a negative comment on an Instagram photo. If I see something I don’t like, I just unfollow the account. Plus, I doubt any of those people commenting would EVER say that stuff to the ladies’ faces. They are just cowards hiding behind their computer or phone screens, likely spewing this filth out of jealousy more than anything else. Typing out negative commentary says way more about you than it does about the person you are talking about. If you can’t say anything nice, don’t say anything at all! I hope you guys love this new series as much as I love writing it – sound off in the comments with your thoughts and take on each week’s gossip!